You know how you can feel really good that something looks clean, and then you realize the secrets that are hiding in drawers or closets? Yeah, I just had that with my car. 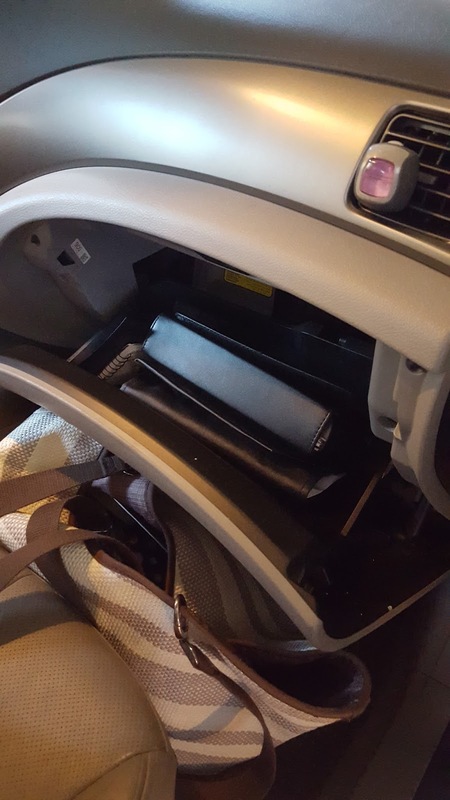 I get frustrated with the crumbs and clutter and clean and vacuum, and I feel done. But the other day I realized I needed to grab my registration to get my emissions done...and I found this. When I pulled everything out, it filled an ENTIRE plastic bag. I don't know how that was physically possible. That clutter has been hiding and collecting there for a while. 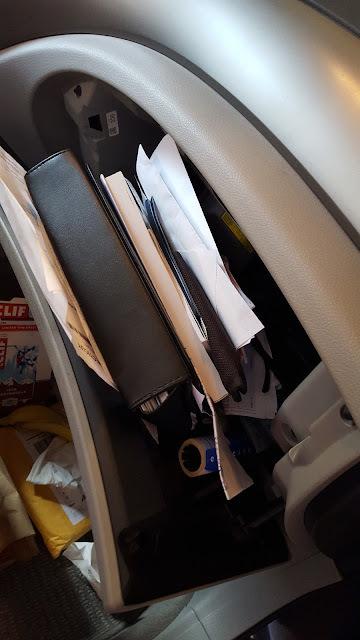 But like any out-of-the-way, not-used-daily spot, I was able to ignore the mess until I realized that if I had to dig just to get my emissions done, I was in deep trouble if I was in an accident and needed to put my hands on paperwork quickly. Hop over to Premier Cape Cod Jeep to see how I managed to turn that nonsense into THIS!